It’s a fact that many people try to save money and try to do the process of furniture removal themselves, but there’s no telling how it will fare out; it’s not like hiring professional movers in Perth where you are guaranteed a successful furniture removal. 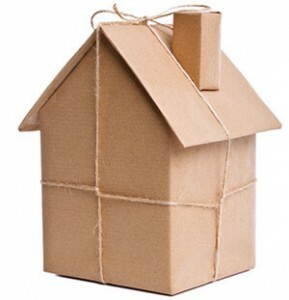 Due to their experience, removalists can be hugely time efficient. Because they know what they are doing, there is less chance of wasting time making mistakes. You will have to spend considerable energy since the whole process is done by professionals. This ensures that you suffer from less stress. DIY might seem the cheaper option, but when you consider the time and energy spent, hiring professionals might be the best choice. Professionals make sure that all the right equipment are used whether its straps, pads or trolleys. If you have once a handful of items to move, this option might be a bit expensive for you. You might not have access to professional removalists since the majority of them remain booked most of the time. It’s not everyone’s cup of tea to successfully load and pack belongings before a move. If not done correctly, your items can en up getting damaged. Because most of you are unaware of the correct lifting techniques, injuries can happen at any time. Get quotes from different companies: First and foremost, you need to prepare a list of companies which you feel can provide you with a reliable packing and moving services. After you make a list, you need to ask them to provide you with a quote including the process and the costs that will be involved. Take enough time: Don’t get impatient if you don’t get the quotes on time; it can take some time. Most of the movers in Perth have prior bookings which is why you need to be patient with them. Plan your move: Generally, moving during holidays or weekends can be expensive which is why you should plan your move during the middle of the week as it will be considerably cheaper.